Just one in 50 people in England experiences nights that are free from light pollution, according to the results of a survey. The work, carried out for the Campaign to Protect Rural England (CPRE), suggests the situation has not improved since it raised the issue 12 years ago. The group says everyone should be able to witness the glory of a starry night. More than half the people taking part said they couldn’t see more than 10 stars in the constellation Orion. The self-selecting survey asked 2,300 people to count the stars in this constellation as a measure of light pollution in their area. But the CPRE can’t be sure how similar the group of people completing the last survey was to the one carrying out this one. Just a 10th of people could count up to 30 stars, whereas the Royal Observatory in Greenwich says that up to 40 could be visible to someone with a sharp eye on a clear night. Only 2% of participants had truly dark skies which allowed them to see more than 30 stars. That’s half the level of the previous Star Count in 2014. A record 2,300 people took part in the count, and the group says government, councils and the public should treat the issue more seriously. Stargazing is not the only reason for craving the darkness: artificial light at night can rob people of their sleep and harm health. It can also have disruptive effects on wildlife. Emma Marrington from the CPRE said the authorities should dim lights wherever feasible. She also urged house-holders not to leave on outdoor lights overnight. Leaving them on has become increasingly affordable with the widespread use of LEDs. Ms Marrington said: “Light doesn’t respect boundaries, and careless use can see it spread for miles from towns, cities, businesses and motorways. Some councils have responded previously by switching off street lights after midnight, which had the added benefit of saving cash. But they often faced accusations of putting people’s safety at risk. The Local Government Association told BBC News it didn’t have a position on light pollution. 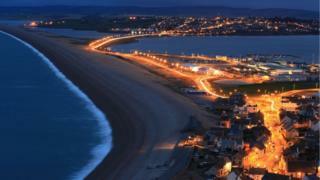 Highways England said it had revised its policies on lighting. A spokesperson told us: "We have a better understanding of where night-time accidents occur and the impact road lighting would have, so we can now be more precise about what sections need to be lit rather than a blanket lighting approach. "Risk assessments will be carried out the determine the need for the lighting. If there is no case to keep it will be de-commissioned."